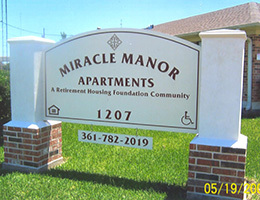 Miracle Manor is an affordable, older adult (62+) community with several apartments equipped to accommodate those who are mobility impaired. Located behind the Edna High School Stadium, Edna High School gives all our residents “free” season passes to all their extra-curricular activities; local football, basketball and volleyball games and One Act Plays. 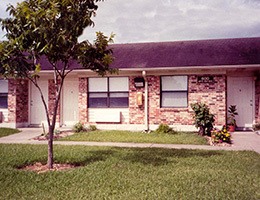 Monday – Friday; Friends of the Elders provides Meals on Wheels to homebound residents. The Friends of the Elders Senior Center Van comes Monday – Friday to pick up any resident who wishes to go to the center for a meal. They offer free bingo on Tuesday and Thursday. 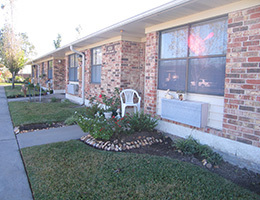 Residents may also schedule a van pick-up to go shopping or for doctor appointments by calling 361-782-5511. 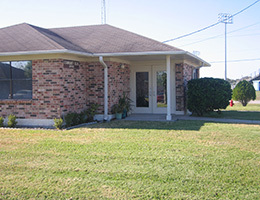 The Jackson County Hospital and Jackson County Medical Clinic are close by. Pets are welcomed but a deposit is required and there are size limitations. Miracle Manor is a smoke-free community.